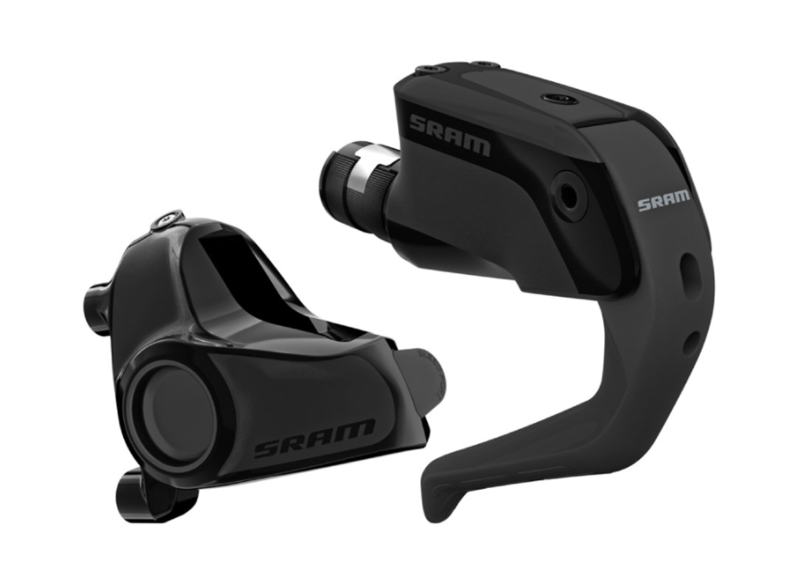 Time trialists and triathletes will rejoice, now that SRAM has offered a viable alternative to adding hydraulic disc brakes to time trial and triathlon bikes. Indeed, SRAM has made a big leap forward in improving the braking capabilities of TT and Tri-Bikes, with the release of its new S-900 Aero HRD Hydraulic Disc Brake System, representing the first of its kind to be offered by one of the big component companies. 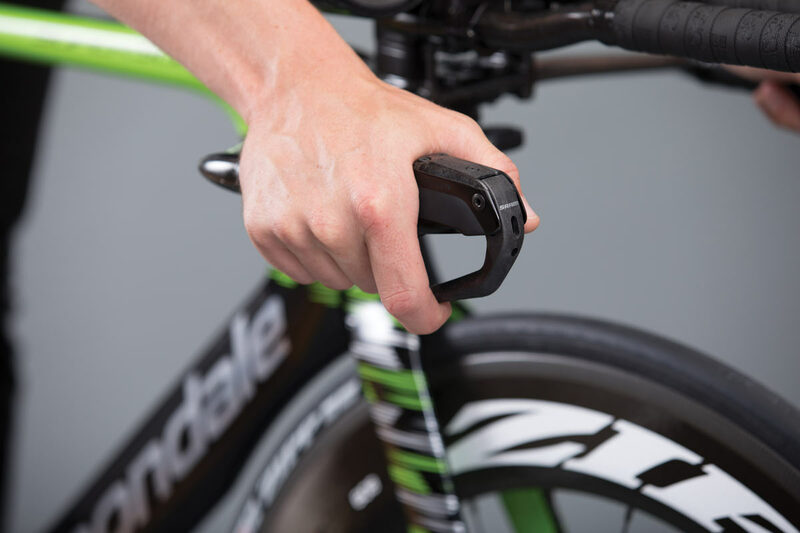 While the new S-900 HRD consists of a brake only system that doesn’t currently integrate with SRAM’s eTap shifting platform, the company says the brakes offer a major step forward toward “optimizing power and modulation for time trial and triathlon bikes”. According to SRAM, the levers for the S-900 HRD are made out of textured carbon for optimal feel and control. Moreover, they also feature different levels of “reach adjustment” in order to accommodate a range of different hand and finger sizes. The calipers themselves are flat mount only, which SRAM recommends using either a 160mm or 140mm rotor. While road bikes have seen a steady rise in the offering of disc brake options, the TT/Tri-Bike segment has been considerably slower to adapt. For instance, Parlee’s TTiR, Diamondback’s Andean and Cervelo’s P5x all offer disc brake options, but unless one is prepared to do some serious retro-fitting, these models are primarily designed for mechanical disc brakes only. However, with the launch of SRAM’s new S-900 HRD system, it’s clear that TT/Tri-Bikes are moving toward hydraulic disc brake compatibility as well. The new S-900 HRD debuted during this year’s Tour de France prologue under the auspices of Team Cannonade, and it will become available to the public starting in September. 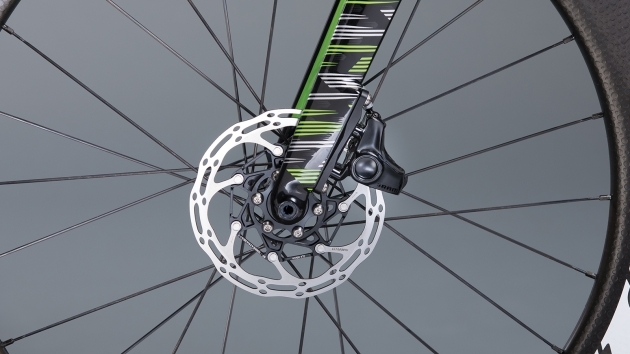 For aero disciplines, hydraulic disc brakes can reveal a whole new world of speed savings. Less time slowing down means more time going fast. Better brakes mean faster splits, thanks to confidence-inspiring brake performance. 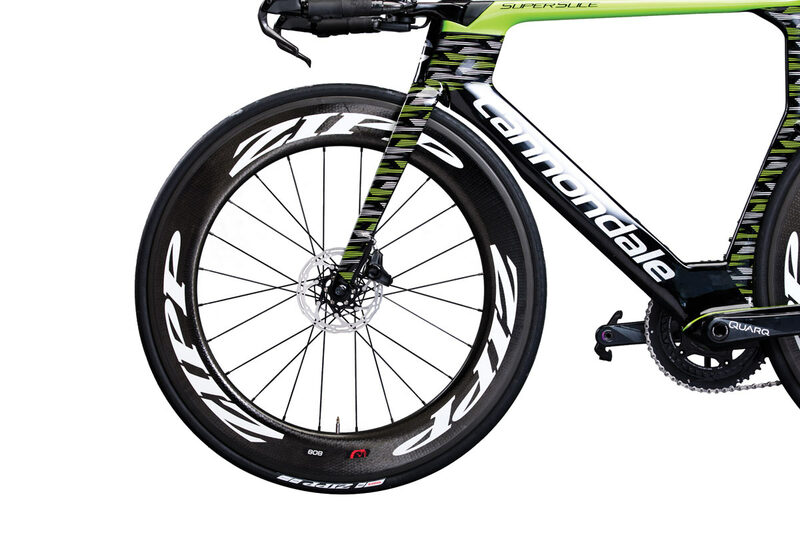 Disc brakes allow optimization of the most critical frontal area of the bike frame – the fork crown/head tube/down tube interface – for aerodynamics. Hydraulic road disc brakes (HRD) also require less hand effort to actuate and provide shorter braking distances and easier changes between wheelsets. REACH ADJUST Brake lever fit and feel is a personal thing. Riders have individual positioning preferences, as well as unique hand sizes and finger lengths. Reach Adjust makes it easy to adjust your lever for maximum one finger control for everyone. BLEEDING EDGE The easiest and cleanest way to bleed your brakes. Ninety seconds from dry to a solid bleed. STEALTH-A-MAJIG Makes initial setup fast and convenient.